Van Morrison, a reference in the rock n roll history of the sixties. Today we speak about 1967, the year of Grateful Dad and Sinatra with Strangers in the Night. 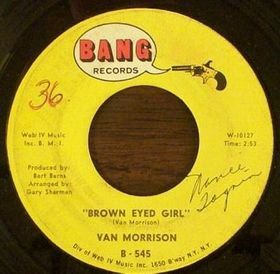 Van Morrison wrote this song remembering a old love story with a “brown skin” girl and gives to the song the same title. thank you for the write-up,My difficulty has been resolved.